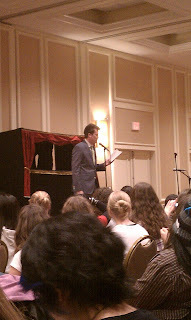 I attended the rock-star event of YA lit last month, and I've been excited to post about it ever since. So here it is: my thoughts on the Green Brothers' Tour de Nerd Fighting DC stop. It was great to see so many teenagers excited to talk books and sing songs about science. 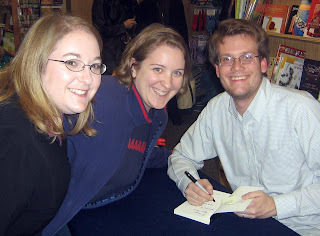 Back in October 2008, I went to another John Green book signing, and at that time I thought the crowd was crazy, but let's look at a side-by-side comparison of the events. Four years ago, Anderson's Bookshop, my hometown indie bookstore in Naperville, IL, was packed with about 200 people who come to the Chicago leg of John's first post-Brotherhood 2.0 book tour. I was amazed by the sheer number of people who couldn't wait to see their favorite vlog brother in person. What a difference a few years and a few hundred internet videos can make. 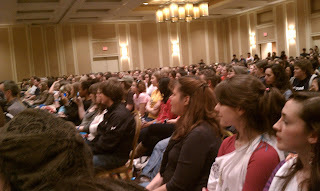 Thanks to the DC indie bookstore Politics and Prose, the ballroom at the Bethesda Hyatt Regency Hotel was filled to capacity with about 2,000 people. I kid you not, there were ticket scalpers in front of the hotel. I sat in the second row of the book signing, where John read about black Santas and distorted perceptions of others. I even got a chance to chat with John earlier that day while he signed in-store copies of his book. I showed up to event two hours early and had to wait in line even though I had ordered my book and ticket months in advance. 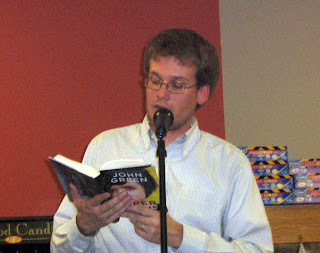 And I still had a pretty crappy view of John reading about books based on video games and how death gives us perspective. That was as close as I got to John. I brought my sister Gwen to the signing. John brought his brother Hank to the signing. Two vastly different experiences that really weren't that different at all. Both book signings celebrated reading and learning. 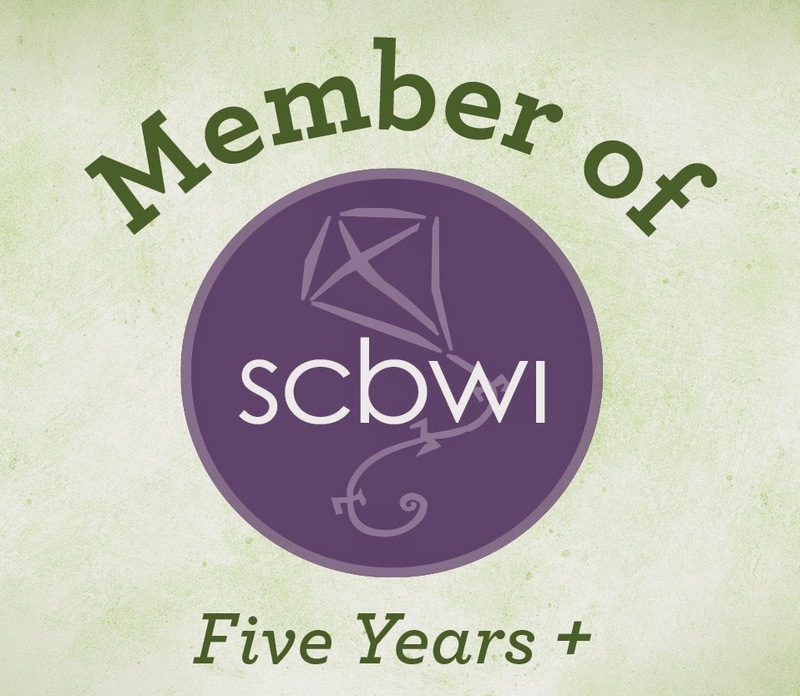 Both events explored what makes the teenage years such a time of growth and self discovery. 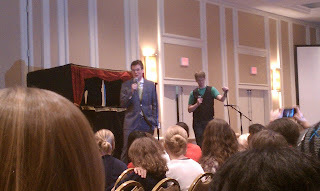 And both 2008 John Green and 2012 John Green really know how to get a crowd excited about books.